American-born Germany is the sire to several decorated horses including Faugheen, Captain Cee Bee, Conna Castle, Cantgeton and Star Of Germany. By breeding Germany with Irish dam Dun Dun, Samcro was born in 2012, where he was given an even stronger chance of being just as successful as Germany’s other offspring under the guidance of Gordon Elliott, who took on Samcro after he ran his first race at Monksgrange. Cullentra House Stables in County Meath has seen a variety of notable names who’ve gone on to win some of the UK and Ireland’s biggest race meetings, and Samcro is one of the best examples, finding success at the coveted Cheltenham Festival and showing masses of potential for future races. Despite being a month away from turning four, Samcro was allowed to run in the Tattersalls Ireland Four-Year-Old Maiden at Monksgrange, finishing first to justify his 2/5 starting price. Gigginstown House Stud purchased Samcro from Douglas Taylor six months later, where Gordon Elliott took over from Colin Bowe as trainer. Gordon Elliott entered Samcro into his second race under a month on from being sent to Cullentra House Stables, where he won the Bradys Ham Supporting Kildare GAA INH Flat Race at Punchestown. The strong start continued a month later when Samcro won the Future Champions INH Flat Race at Navan, before going on to win a further five races in succession. This run included the Ryans Cleaning Event Specialists Flat Race at Fairyhouse, the Buy Your 2018 Badge Maiden Hurdle at Punchestown, the Monksfield Novice Hurdle at Navan, the Deloitte Novice Hurdle at Leopardstown, and his first Cheltenham Festival win in the Ballymore Novices’ Hurdle. 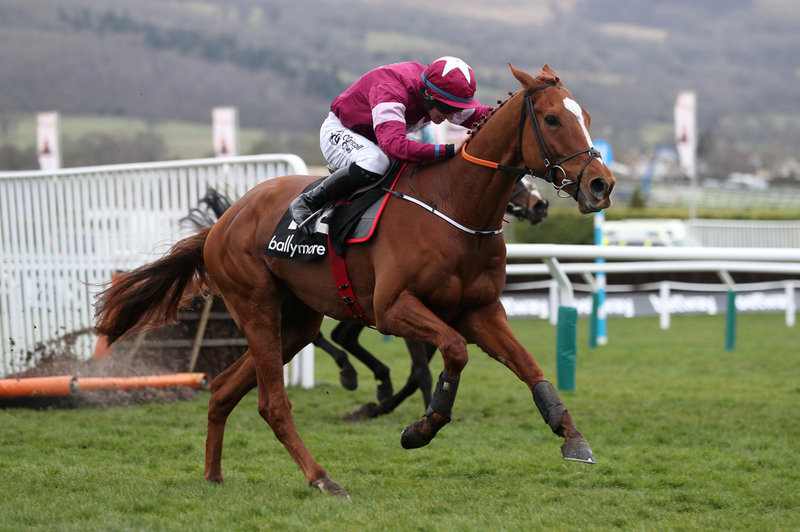 2018 started with a disappointing failure to finish in the Betdaq 2% Commission Punchestown Champion Hurdle and a place in the WKD Hurdle at Down Royal, but the future is likely to see far more silverware for Samcro based on such a strong start. Performances at Cheltenham Festival are always used as a way of identifying a horse’s ability, and Samcro currently sits with a 100% record. His debut appearance saw him resulting first in the Ballymore Novices’ Hurdle - also recognised by a lot of punters as The Baring Bingham - which set a precedent for future entries in runs held at Cheltenham Racecourse. When is Samcro running next?